Australian Jelena Dokic's attempt to again use the Australian Open to regenerate her career fell flat as she tumbled to a straight sets defeat to Czech Barbora Zahlavova Strycova tonight. 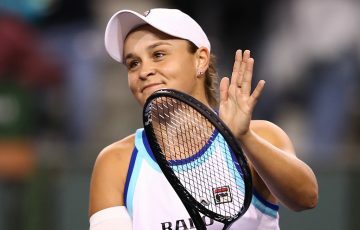 Australian Jelena Dokic’s attempt to again use the Australian Open to regenerate her career fell flat as she tumbled to a straight sets defeat to Czech Barbora Zahlavova Strycova tonight. The unseeded Zahlavova Strycova won the second round clash 7-6 (7-3) 6-1, to set up a third round meeting with China’s Li Na, a semi-finalist in Melbourne last year. Dokic, whose ranking has slumped to No.137, played the sort of tennis in the first set that provided hope she might again defy that lowly status, as she did two years ago, with a surprise run to the quarterfinals. 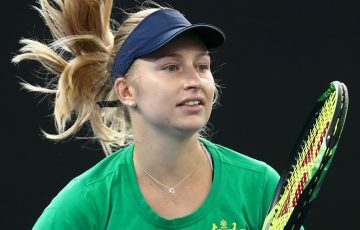 But, after the Czech world No.63 took a see-sawing first set in a tiebreaker, she raced away with the second, completing it in just 24 minutes to ensure there would be no fairytale for the Australian wildcard entrant this time. 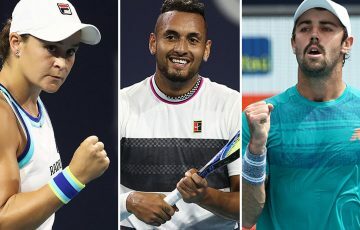 Dokic’s exit left only three Australians alive in men’s or women’s singles – Sam Stosur, Alicia Molik and Bernard Tomic – who are all set to play their second-round matches on Thursday. 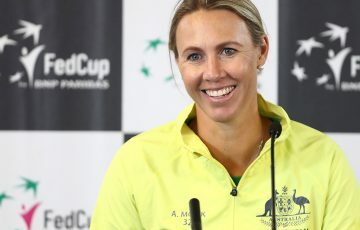 But Dokic, who parted with Dutch coach Glenn Schaap just three days before the Open, can at least take heart from making it to the second round of a grand slam event for the first time since the 2009 French Open, having fallen at the opening hurdle in Melbourne last year. The Australian produced some fine shot-making in the opening set and saved break points in each of her final two service games of the set. But her short-statured Czech opponent kept Dokic under pressure by continually chasing down balls and forcing her to play extra shots. 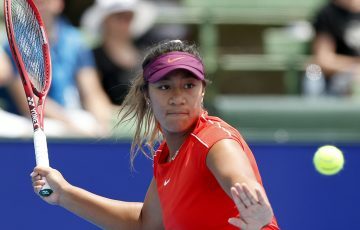 The intensity eventually wore down the Australian, whose game fell away markedly after losing the first-set tiebreaker. Dokic has spent the past year battling away in mainly second-tier events and had gone more than a year without beating a player ranked in the top 100 before downing Czech world No.82 Zuzana Ondraskova in the opening round. She said the lack of recent high-level matches hurt her. “Maybe if I had a couple more matches like this it would have been easier,” Dokic said. But the former world No.4 will get a rankings boost from making the second round and hoped to steadily climb. 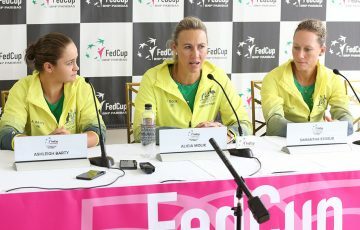 “I still actually think I can be top 30 this year, it’s only the beginning of the year,” Dokic said.